For over 10 years, TRUE creative services has been creating a wide variety of marketing and educational materials for Warger, Eavy & Associates. WEA is a full-service communications firm specializing in publishing support for both private and public sectors within the education and assistive technology space. 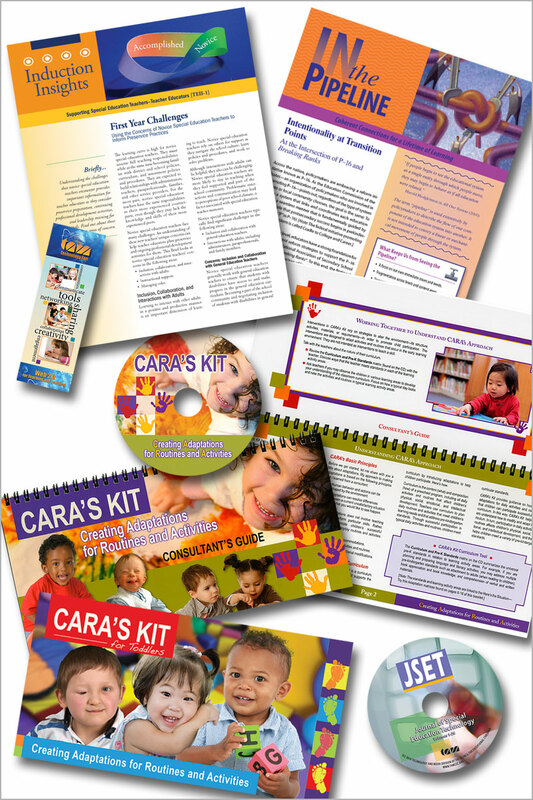 Projects have included: Educational tools such as fans, journals, monographs, readings, planners,professional development toolkits, PowerPoint presentations, policy briefs and other materials. Working with WEA, we have had the honor of developing creative materials for organizations such as the: University of Florida, National Center for Comprehensive School Reform and Improvement, National Assistive Technology Research Institute, Council for Exceptional Children (CEC), Thomas Jefferson University Child and Family Studies Programs, National Association of State Directors of Special Education (NASDSE), Johns Hopkins University’s Center for Technology in Education, National Association of Elementary School Principals (NAESP) and other prestigious entities focusing on improving education.